Elwin Lee Price was born to Elmer and Alice (Holmes) Price Oct. 20, 1932 in Langlois. 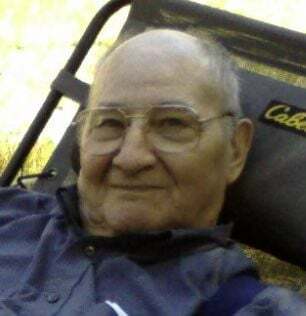 God called him to his heavenly home Nov. 28, 2018. Per his wishes, no service is scheduled. Burial of cremains is planned for a later date at Reedsport Masonic Cemetery. Elwin had three siblings: Lois, Mary Jo and Lake, all of whom preceded him in death. Most of his younger years were spent in the Reedsport area. In 1951 he graduated from Reedsport High School, where he played football. Elwin served in the U.S. marine Corps from 1952 to 1955, including 14 months in Japan during the Korean War. He was sailing for Korea when the Armistice was reached and was therefore diverted to Japan. He became proficient in operating two types of machine gun, but luckily didn't have to use any in combat. He did participate in an atomic test in Nevada. He attended Evangel College in Springfield, Mo., where he studied psychology and occupied his spare time shooting baskets with John Ashcroft, who later became governor of Missouri, U.S. senator and U.S. attorney general. After returning to Reedsport, Elwin worked in logging, including at International Paper Company, followed by at least 22 years employment with the U.S. Forest Service, from which he retired in 1993. His only marriage was in 1969, when he wed Donna Graves Rountree, who survives him. They have lived in Florence 45 years. Other survivors include stepson, Bryan Rountree and his wife, Cindy; stepgrandson, Brandon Rountree; two nephews, Dr. Richard Froman and Craig Froman and their families; brother-in-law and sister-in-law, Larry and Ada Graves and their son, Dr. Todd Graves; niece, Marcia Colahan; and many cousins, including Bruce Lane and his wife, Cody of Reedsport. Elwin had strong Christian beliefs and was described recently by a Florence friend as "Best man in town." His interests included religion, philosophy, psychology, reading, chess, emailing, family gatherings and country music, plus having coffee with friends while discussing politics, religion, world affairs, etc. It is suggested any donations in Elwin's honor be made to the American Heart Association, American Kidney Fund or American Diabetes Association.